Boughton Engineering has just completed the most successful year in its history, with core product sales stronger than at any time during the existence of the original company. Group Sales & Marketing Director, Steve Price says, “The market knows the Boughton product for its reliable and robust engineering, proven over time by operators through their own experience. The Boughton hook loader is now the preferred choice of most key operators and rental companies and occupies a market leadership position – with sales continuing to grow. “The Power-Reach PR18 skip loader continues to gain share in the market, based on a reputation now earned and proven in operation – and with growing repeat order business pushing increased production. The Boughton close coupled trailer now carries full type approval and orders have remained steady as some operators add to their fleets in order to optimise vehicle movements and payloads”. 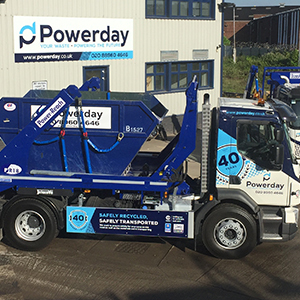 Inside the show at RWM 2017, the company will display one of its standard Power-Reach PR18 skip loader units, part of a major order for North London waste operator, Powerday. Outside the main entrance piazza, Boughton will display the first production Front End Loader to be built as a result of the strategic partnership between Boughton Engineering and McNeilus of the US, to return the FEL product to the UK market. “The new UK specification vehicle turns what is already an outstanding US product into a fully operational and compliant UK machine – with a number of units already on the order book, based on historical operating experience and reputation”, says Steve Price. “Some McNeilus units were supplied to major waste contractors and rental companies in the early 2000s – and some of those are still in operation today. From a Boughton point of view, the McNeilus FEL is perfectly complementary to our existing product range – and there are opportunities for us to grow the product portfolio going forward”.